Active in sports & recreation since childhood, Megan channeled both her love of movement and instruction into a BS in Exercise Science and subsequent Masters in Arts & Education in college. After 5 years teaching in the school setting she decided to stay at home to be with her kids. During this hiatus she took her first pilates class from Sheila Grace at then Demi-Bar Pilates and fell in love with how pilates could strengthen, lengthen & tone the body. 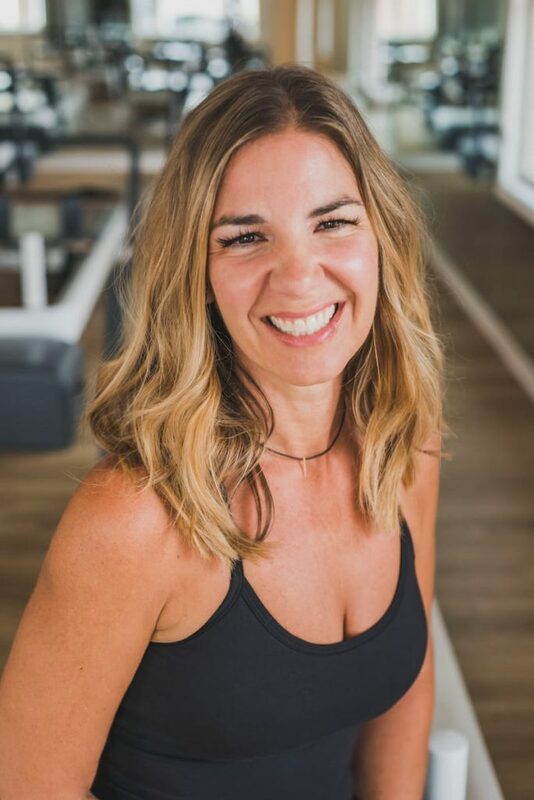 Realizing she could merge her two passions of teaching and movement, she started instructing Demi-Bar classes at Energie while completing both Mat & Reformer certifications from Balanced Body. 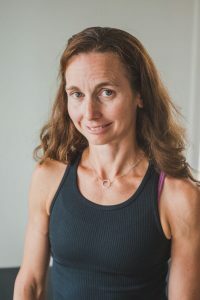 A natural teacher, Megan is thrilled to be in the studio as now co-owner, bringing her athletic and creative take on traditional pilates to clients at Energie. She enjoys a fun, fast-paced class that challenges clients to be better than they think they can and loves that clients expect nothing but the best from her. Outside of the studio Megan enjoys taking other fitness classes, a good trip to Napa with her husband, LaCroix & any kind of chocolate, and cheering on her kids Kieran, Mia, Calvin & Ella at the ball field, dance studio and hockey rink. After working as a trader for a large Wall Street Bank for 12 years, Tifani left the industry to raise her young family. 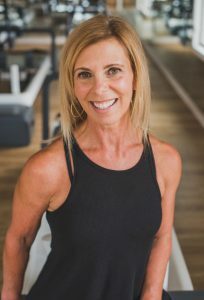 In 2011, she moved back to the Hinsdale area and began working for then, Demi-Bar Pilates, as a way to have a small amount of “adult” time while also incorporating her love of exercise. In 2013, Tifani became certified in Pilates and has been teaching ever since to clients at what is now Energie Pilates. In early 2018, Tifani became part-owner of Energie and loves that she can further the vision of bringing contemporary Pilates to the suburbs of Chicago. 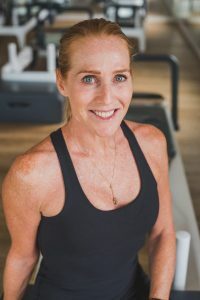 Along with Megan Sullivan, she hopes that more and more people of all ages, sizes and gender will continue to discover the amazing benefits of Pilates. Tifani and her husband Tim manage a household of three kids, and their goofy dog Louie. Outside of the studio, Tifani loves to travel, hang out with her friends and family and a good adult beverage. 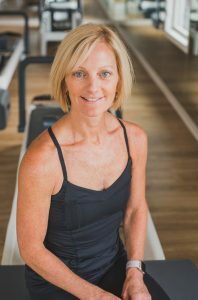 Jen first began Pilates as a way to improve her tennis game and immediately fell in love with the way it changed her body and enriched her life. She found that Pilates dramatically transforms the way your body looks, feels and performs. She also experienced the Pilates benefit of building strength without adding excess bulk, and its ability to create a sleek, toned body with slender thighs and a flat abdomen. Understanding that Fitness is only part of the equation to lead a healthy life, Jen created the Lean Lifestyle Program. Lean Lifestyle Program gives clients the tools to lose weight finally and for good. 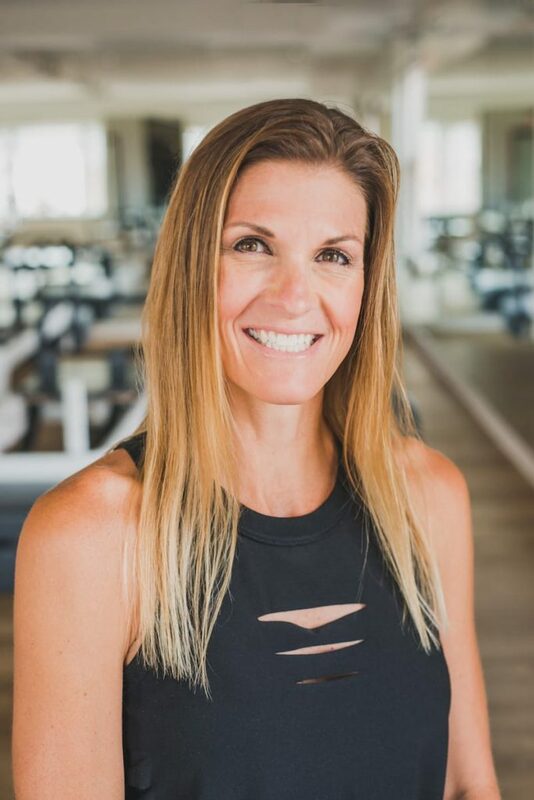 Jen is a WITS (World Instructor Training Schools) Certified Personal Fitness Trainer, Master Level Precision Nutrition Certified Weightloss Coach and Pilates trained through Balanced Body University. Sheila is a co-founder and former owner of Energie Spa and Demi-Bar Pilates. She has been involved in the Wellness Industry for over 20 years as a Pilates Instructor, Personal Trainer, Weight Loss and Wellness Coach. Sheila is a firm believer that quality of life is based on a balance of both body and mind. Exercise, good nutrition and mindfulness are the keys to feeling better physically and mentally at any age. Sheila is certified by National Association of Sports Medicine and Balanced Body Pilates. She is also trained by Precision Nutrition and NICABM. Mary has danced her entire life, including at the University of Illinois on the competitive Dance Team. Her love of dance is what led her to barre where she found the perfect combination of her three favorite exercises – ballet, yoga, and pilates. She decided to pursue becoming an instructor in 2011 and received her certification from Smart Barre Body in Fort Worth, Texas. After joining our team here at Energie, she fell in love with reformer and became a certified reformer instructor as well. She looks forward to sharing her passion for barre and reformer with our Demi-Bar Pilates clients. When Mary isn’t teaching, she spends her time with her two children, Grace (4) and Gage (2). Stephanie has been in the health and wellness industry for over 14 years in a variety of capacities, from private and group exercise instruction to public health promotion and worksite wellness. Stephanie was introduced to Pilates in 2005 while working as a personal trainer in California. 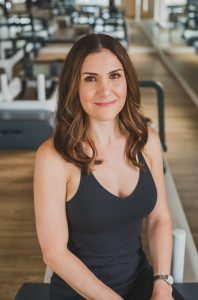 The mind/body connection and transformation she experienced from Pilates inspired her to pursue training in Pilates instruction. Stephanie is a Comprehensive Pilates Instructor certified through the Pilates Method Alliance. While Stephanie’s true passion is Pilates, she is a strong advocate of cross training. She has received certifications and training in Kettlebells, TRX® Suspension, and Barre. Stephanie strives to share her passion for Pilates and Barre through a workout that is safe, fun, motivating, and challenging. Stephanie and her husband enjoy traveling, hiking, golf, and just about any activity that will get them moving. They have three geriatric fur children: Toby, Sadie & Scotty. Pam has been a fitness enthusiast her whole life always up for a new challenge! 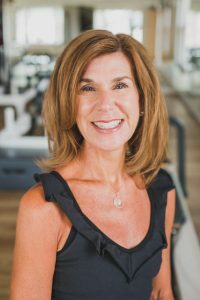 After graduating from Penn State University Pam pursued a career in sales and marketing for a financial services firm but always continued to enjoy working out and fitness. After the birth of her children Pam decided to switch gears and focus on being a mom. Knowing how much she loved to workout she decided to become certified as a personal trainer through the International Fitness Professionals Association. After discovering Demi Bar Pilates over 10 years ago she more recently become certified through Balanced Body in Mat Pilates. Today you can find Pam teaching DBP and DBP Express classes as well as some of our Workshops. When Pam isn’t teaching she enjoys spending time with her husband Steve and her children David(20) and Molly(18). She is also a passionate college football fan! DeeDee started her fitness journey in college where she worked at fitness USA as a fitness and aerobics instructor. It was the 80s- what can she say! 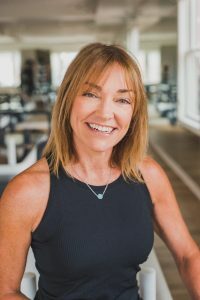 She started out in Pilates as a teacher for Dailey Method and during her barre training learned about anatomy and how Pilates can benefit everyone. Using this knowledge as an instructor at Energie today, she strives to get clients aligned properly and engaged with every muscle before moving. 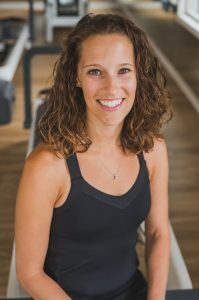 She has been a part of the Energie team for two years and in addition to barre, has expanded her teaching horizons as she teaches reformer and loves how creative she can get with reformer exercises. > DeeDee feels blessed to be teaching something she feels so passionate about. She likes to create a fun-loving environment through both her personality and playlists, while pushing her clients to take their practice further with each class. She encourages you to take her class and share her passion for Pilates! 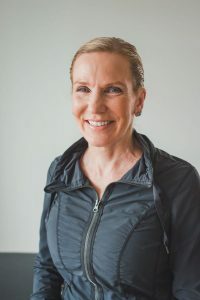 Maura started her passion in the fitness/health arena after working for an orthopedic surgeon and working rehab/athletic training in the high school setting during which time she obtained her Masters in Exercise Physiology and Cardiac Rehabilitation. Since then, she has been doing personal training with an emphasis in Pilates and Neuro-Muscular Activation. She loves Pilates because she gets to witness the clients continuous increase in strength and flexibility! Her activation helps her clients determine which muscles are firing appropriately due to the neuromuscular compensations. The results have been life changing for many! Sandra became a personal trainer because of her love of fitness. Her goal as a personal trainer and group exercise instructor is to motivate, inspire and educate others about the benefits of exercising and living a healthy lifestyle. With patience and persistence, anyone can achieve realistic goals including high self-esteem, confidence and the body you desire. She strives to create a personal relationship with all her clients. She provides encouragement, confidence, motivation, and strength to help you reach your fitness goals. Beth is a certified ACE personal trainer, Pilates instructor, Reformer instructor, TRX enthusiast and certified Les Mills Body Combat instructor. Her experience as an avid marathoner and Ironman finisher has increased her understanding of what it takes to stay balanced, strong and most importantly happy with the journey. Beth’s goal is to help clients smile while increasing their love of the fitness journey, the joy of accomplishment and the challenge to grow stronger from within. She holds a BE in Biomedical and Electrical Engineering from Vanderbilt University. In her free time, Beth enjoys being active with her four children.